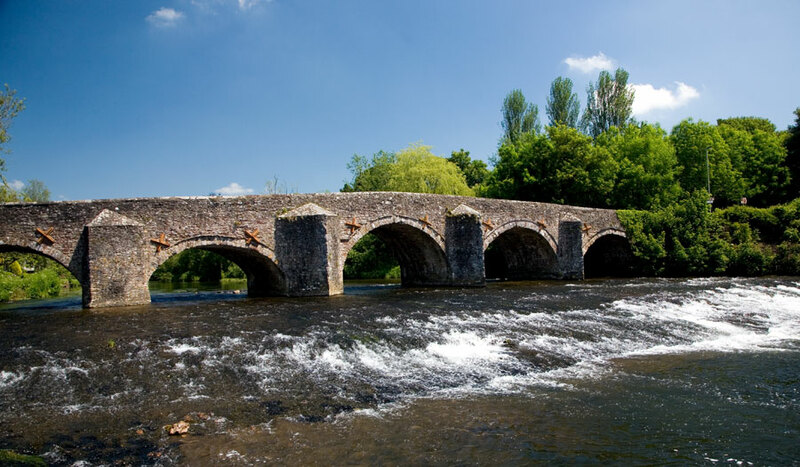 The 5 arch bridge over the River Exe at Bickleigh. Built in 1809 after the previous bridge was damaged by floodwater Bickleigh bridge is reputedly haunted. It is said that in the 14th century 2 local well-to-dos had an altercation on the bridge resulting in the death of one of them.